With cold season in full force, I’ve been making one of my favorite juice recipes (carrot, apple, and ginger) almost every day. With an abundance of carrots in the refrigerator, I decided to create something new with them for dinner. I headed out to my garden for a little herbal inspiration and grabbed a handful of tarragon. I had a plan. 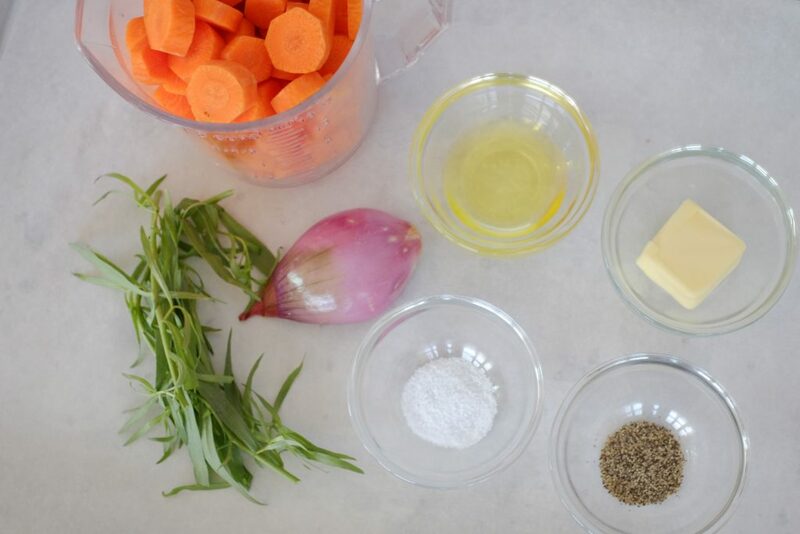 I blanched the sliced carrots then sautéed them with a little olive oil, butter, shallots, and tarragon. A new simple weeknight side dish was born. Look for carrots that are smooth and firm, without any cracks in them. Be sure not to overcook the carrots when blanching. Sliced carrots need about 2 minutes in the boiling water. 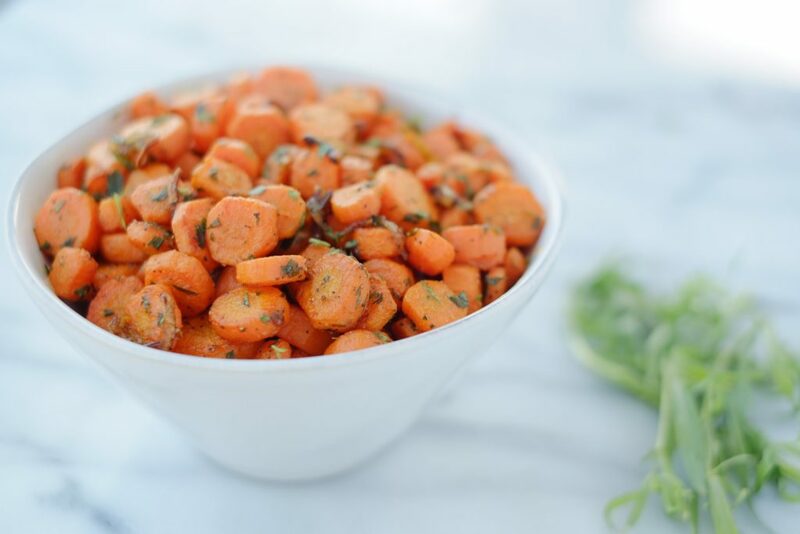 Carrots are full of beta-carotene – great for your skin and eyes. Who doesn’t want to have glowing skin? Prepare a large bowl filled water and ice. Set aside. Fill a large pot of salted water and bring to a boil over high heat. 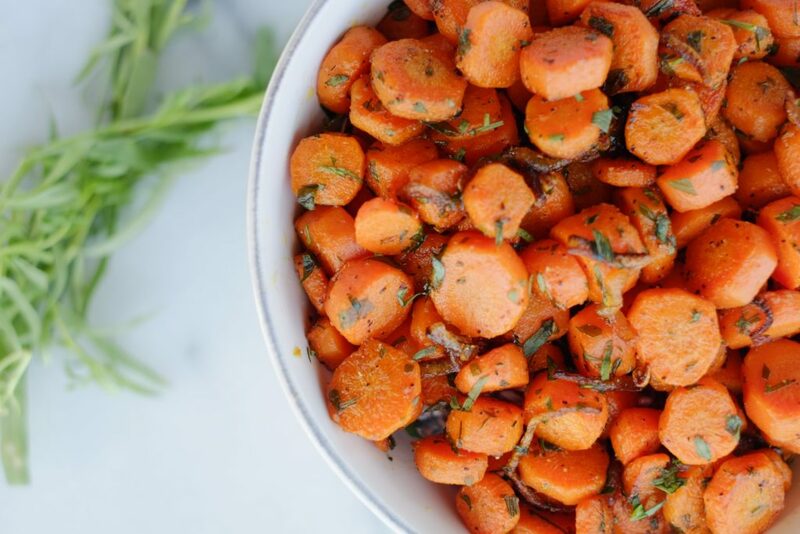 Add carrots to water and cook for 4 - 5 minutes. 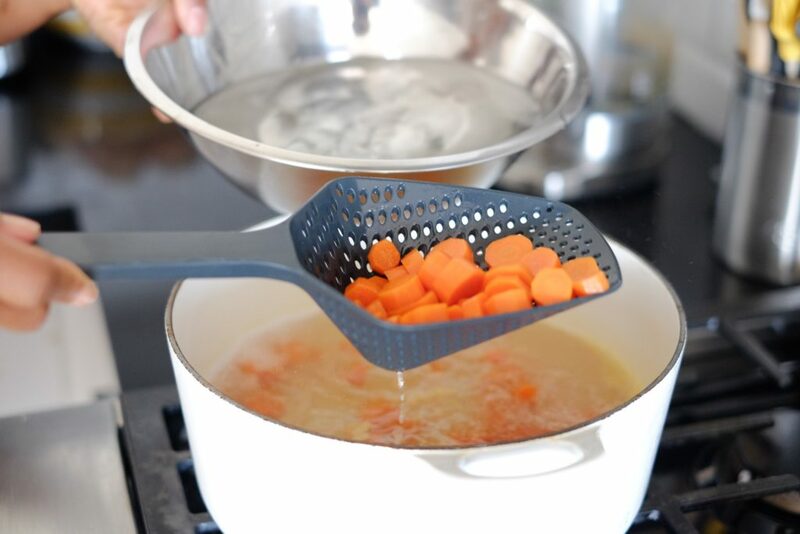 Drain the carrots in a colander, then plunge them into the bowl of ice water. 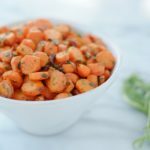 Allow carrots to cool slightly. Drain again in the colander, pat dry with a towel and set aside. In a large skillet over medium-high heat, add olive oil and butter. Add shallot and cook until softened. Add carrots, tarragon salt, and pepper. Sauté carrots until thoroughly heated. Serve immediately.